It's been a long time since I have posted progress, hasn't it? That's because I haven't made any progress! How about that? I had finished Jareth's vest and went, "Awesome progress! I'm good for a while." And "a while" turned into about two months... Oops. 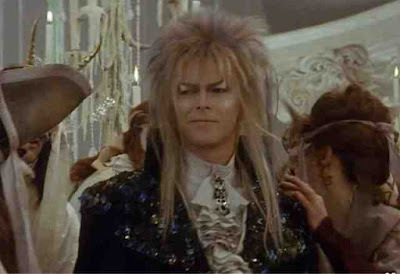 So I returned to my Jareth costume! It was time to make the dickey. The pattern I am using calls for a dicky instead of a full shirt and I'm gonna go with it because I am going to roast in this costume! So here is how the main piece turned out. The most difficult thin was the collar, but it really wasn't bad. I also didn't hem the chest part because it won't show anyway and I think my attention needs to be spent elsewhere. So proud! 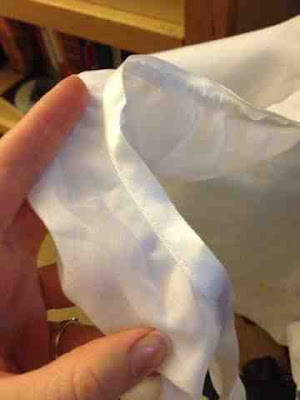 And there is a snap at the back of the collar. The difficult part came with the ruffles. The ruffles I picked are smaller because its not 1986 anymore and I am trying to stay true to he costume without being too tacky. Plus my frame is smaller than Mr. Bowie's. Nice, not too big or too 80's. 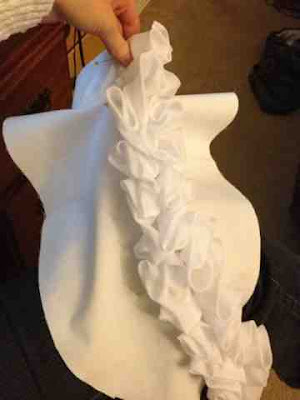 I tried to start from the top for the ruffles as the pattern suggested and quickly figured out that it didn't work well hat way. So I measured to the center and tried from the bottom with almost as much difficulty. I finally decided that I needed to pleat the two sides starting at the bottom and then sew the two together before attaching them to the dickey. 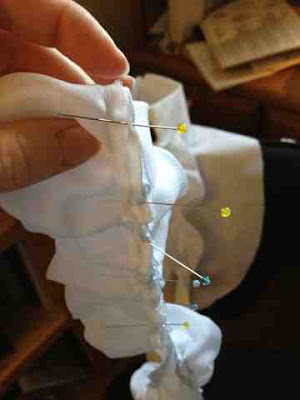 Once I had it all pleated and pinned, it was just about the right length. I haven't sewn it on yet, but that is basically what it will look like. Yay! 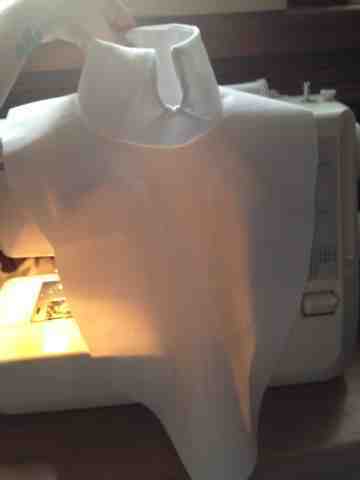 And it will be sewn most of the way on, but the bottom will need to be detached to hang out over the vest. During all this time, I was trying to devise a way to make his broach. I think I am going to bead it and I found some things that might work OK. I am going to have to do some serious experimenting with it, however. I will post that when I finally get it figured out. It is quite intimidating, right?